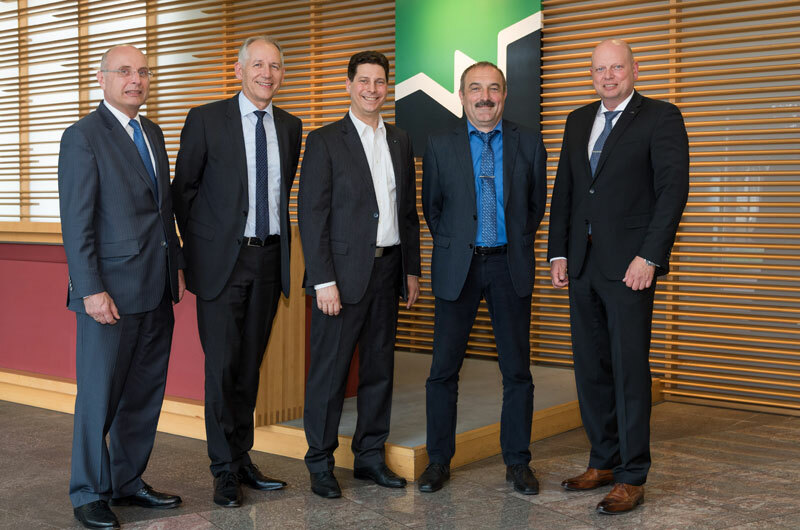 Ready for the challenges of the future: the WEINIG management board with Wolfgang Pöschl, Gregor Baumbusch and Gerald Schmidt together with the head of the new business unit Automation & Digital Business, Jochen Ganz and Dr. Otto Leible from WEINIG Concept. WEINIG continues to press ahead with digitization. In a new initiative, the company has created a new business unit “Automation & Digital Business”. “With this decision, we are strategically and organizationally aligning our company to the future, which will be characterized by a greater significance of project business and digitization,” said CEO Wolfgang Pöschl. Consequently, the new company unit will be positioned in WEINIG Concept GmbH & Co KG, which bundles WEINIG’s engineering activities. Jochen Ganz, who is currently head of the product unit Service, was appointed managing director of the new business unit. As part of Concept, he will act as the second head alongside Dr. Otto Leible, who will continue to head Engineering, his traditional field of responsibility. Jochen Ganz, who has been working at the WEINIG site in Tauberbischofsheim, has been instrumental in the development of the successful WEINIG App Suite. The establishment of the new business unit Automation & Digital Business is the third major WEINIG initiative in the Industry 4.0 area in a short time. Following the introduction of the W4.0 digital standard in WEINIG’s own product world, the digital alliance MindSphere World was co-founded in January this year. Under the leadership of Siemens AG, the members of the organization work together on the cloud-based Siemens IoT operating system MindSphere. Access to the uniform platform helps WEINIG to further develop W4.0 digital and optimize it for the benefit of its customers.